It was a very long day for yesterday’s Development Management Committee, in a Council Chamber absolutely packed with protesters. 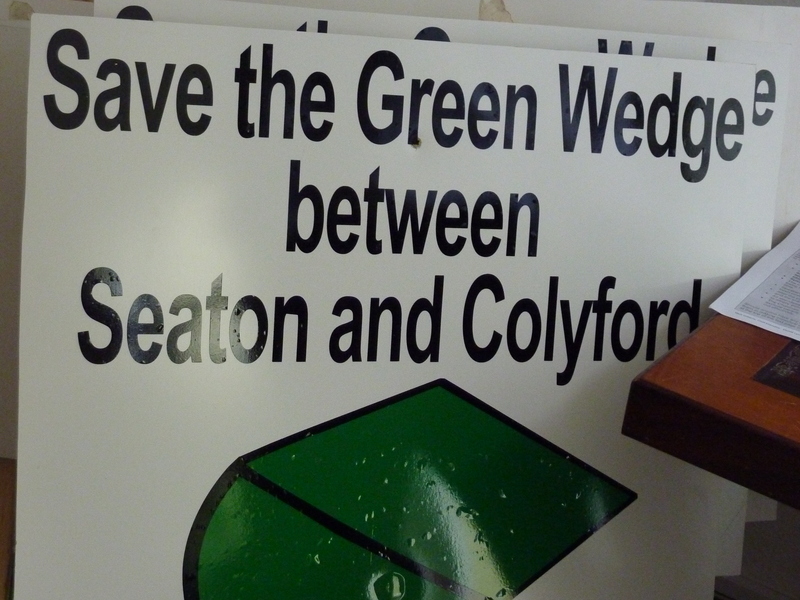 The planning application for a major mixed use development on the Green Wedge between Seaton and Colyford, was soundly rejected after strongly argued representations from the public. But the Friends of Elizabeth Hall, despite their long and passionate battle, with over 12,000 signatures collected, heard that a Premier Inn will now replace the building…. radically changing the character of this Exmouth seafront site. There were several incidents of high drama at this DMC meeting. More details soon on SOS.